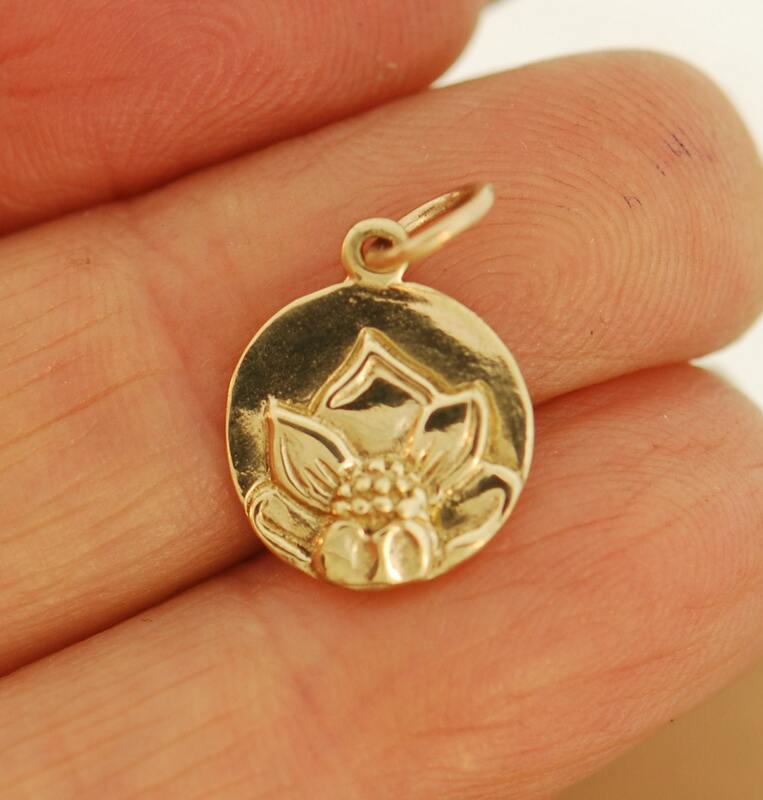 This 14 karat gold lotus flower pendant is inspired by my original Unfolded Lotus 1 pendant. It is a smaller version and solid 14 karat gold. 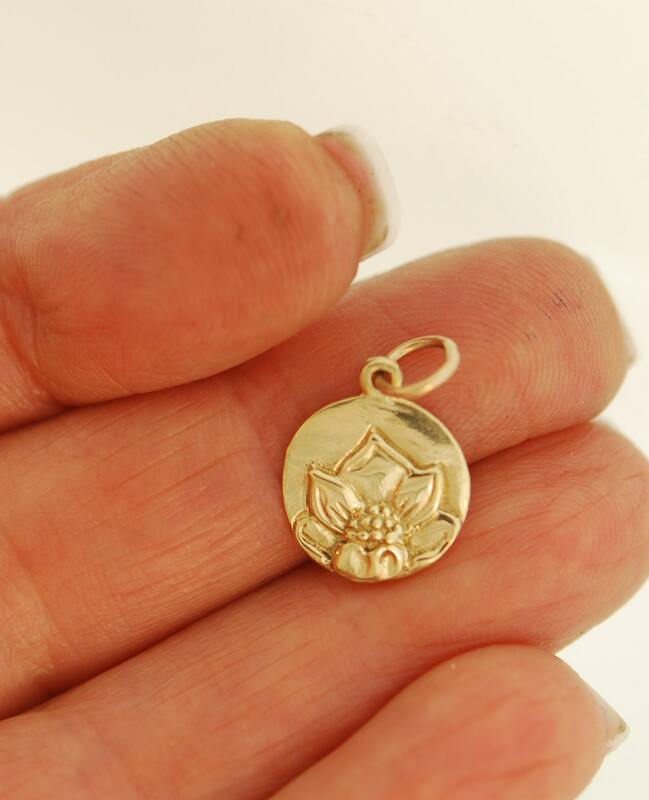 The pendant measures 13.5 mm by 11 mm with out the soldered jump ring. I can also make in rose gold, or white gold. This pendant was created by the lost wax method where a model is made into wax in the design inspiration. It is then cast into metal where a mold can be made. Wax is injected into the mold and is cast by the centrifugal method. It is finished by hand, paying close attention to details that bring it to life. 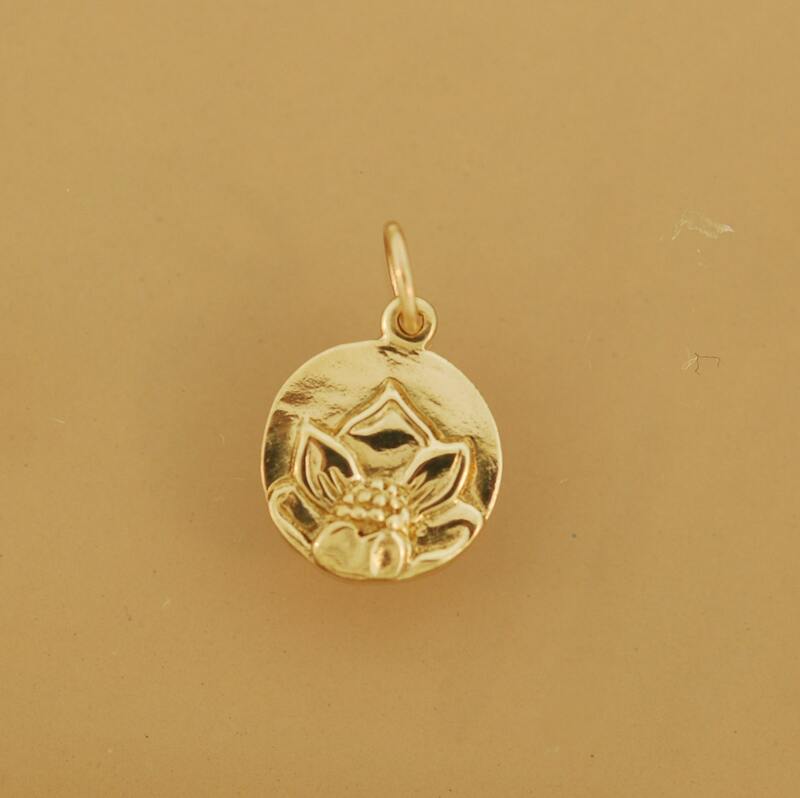 In many Eastern cultures, the Lotus Flower symbolizes purity, new beginnings, and divine birth. The unfolding flower embodies the endless ocean of creation. And, because it has buds, blossoms, and seed pods simultaneously on the same plant, it has come to represent the past, present, and future. If you have any questions please feel free to convo me!